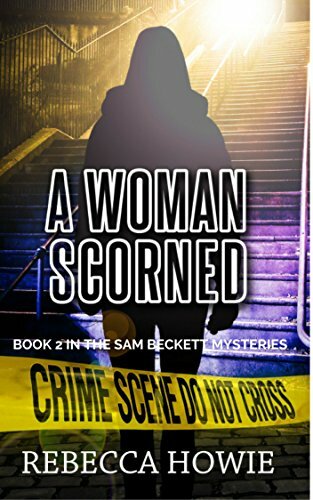 Returning home days after leaving town wasn’t a decision Sam Beckett made lightly, and the newspaper articles detailing her shooting aren’t making her choice any easier to accept. When a therapist is found dead in her office, Sam decides to work with CID and Detective Marshall on the case, hoping that the dead woman’s troubles will be enough to help her forget her own. but with Dr Weiss’ perfect image slowly crumbling as the investigation progresses, Sam finds that she isn’t the only person hiding behind a lie, and that uncovering someone else’s could have been what led Dr Weiss to her death. The concept of a 17-year-old private investigator intrigued me. The fact that Sam isn’t afraid to go up against seasoned detectives or known criminals cemented my admiration of her. She pretty much holds her own. Sam is thrown into a murder investigation almost immediately, and the number of suspects increases the deeper she delves into the victim’s background. Just when I thought I had it figured out, a plot twist would prove me wrong. The supporting cast contains some very likable characters, and I especially enjoyed the relationship between Marshall and Sam. Not having read the first book in this series, I was a little lost, and didn’t understand the reasoning behind some of Sam’s actions or backstories of the characters. I wouldn’t say reading the first one is absolutely necessary, but it would help lessen the confusion. This has the makings of an intelligent YA mystery series, with the potential for several more books. A very interesting review, Teri. The idea of a 17 year old private investigator intrigues me too. It’s a great idea for a YA series. I really think reading the first book would be a good idea before jumping in with the second. Oh, geez. Right. The Game Begins is book one. Off my own game today. Bah! Do you need a ladder to reach the top of that TBR pile, Sarah? Thanks for allowing me to read it, Rebecca! It’s intriguing, Teri. I appreciate the heads-up about the need for book 1. I don’t like feeling lost. Good luck to Rebecca. I love a good “Nancy Drew.” Hugs. I was always a Nancy Drew fan myself, Teagan. Hugs!